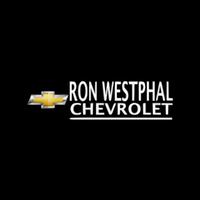 Welcome to Ron Westphal Chevy in Aurora, IL, the largest Chevrolet dealership in the state of Illinois. Apart from all trim levels of new Chevys we have the largest stock of pre-owned Chevrolet vehicles in Aurora, IL. Our dealership has an unmatched reputation because we deliver excellence when it comes to customer service. Contact us today at our customer service number or visit our dealership to find out amazing pre-owned and new Chevy deals at Ron Westphal Chevrolet in Aurora, IL. Our staff members of Sales, Parts and Service Departments are always ready to serve you so come and visit us any time you want and you will find us waiting for you. Besides contacting our on call customer service, you can also contact us online by providing your name and email, a customer service representative of Ron Westphal Chevrolet will get back to you very soon.